Helping students make the connection between a college course and their desired career isn’t always an easy task, especially for those that teach in General Studies. At the same time, many students fail to see the critical importance of the employability skills (aka core abilities) that we’re all integrating and assessing in our classrooms. I’ve been using a simple activity in my Oral/Interpersonal Communication class that could easily be adapted for most other courses to assist students with these very issues. At the beginning of the term, I ask students to find three local, detailed job ads for the fields in which they are pursuing a degree at NWTC. Ideally, I have students go straight to those organizations for which they’d like to work (as many of our students have their sights set on a particular employer) to find any job descriptions that are available. This activity is also a great opportunity to tell the students about Career Services on campus, another valuable resource that they should learn about sooner rather than later to improve their employability skills. In my class, we use these ads to determine how many of them require communication skills of some sort (hint: nearly all of them!) as well as the types of communication skills for which the employers are looking. This sets the foundation for my course as relevant and critical for their future careers, making my class a little more tolerable for those “required” to take it, as well as re-emphasizing the value of the NWTC employability skills. There are many ways to adapt this activity for your course or program, but any variation helps students make the crucial connection between class and career, as well as better prepare them for employability (hello Future 2018!) 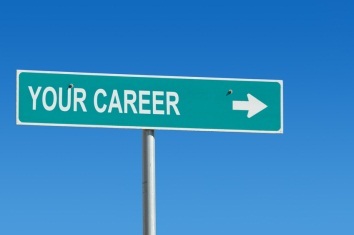 If nothing else, it introduces them to Career Services and gives them an early glimpse at what it takes to get hired. Related, I found an interesting On Course activity called “Why Do I Need This Class?”(found here: http://oncourseworkshop.com/self-motivation/need-class/) which could also incorporate the job ad activity and/or at least start to emphasize the role of employability in the classroom. ← Dream together: seeing and thinking (learn it!) and acting and becoming (live it!). Thanks for sharing the two practical suggestions helping students consciously connect learning to life and their career discernment. In addition, I offer a third suggestion, which complements your two suggestions, that is, connecting learning to present career employment. 1. What have I learned? What key ideas would I share with others? 2. What ideas do I agree with or disagree with? “I think this chapter has been beneficial and will help me in the nursing field. I will use the basic activities which are investigation or in my case assessment. This will help me to figure out what may be going on with a patient and help to make a correct diagnosis. I need to use good judgment, such as do I feel this patient may be holding back on something and does my diagnosis make sense? I think John Dewey would be proud of us.